Daniel has over 30 years of expertise in medical field and over 16 years in medical industry. He previously worked for Medtronic CRDM where he helped develop and commercialize novel drug device combination products. He worked as Medical Director for Novo Nordisk, and held several executive leadership positions in smaller public and non-public companies (CSO, CEO). Daniel was on the board of LecTec (now Axogen, NASDAQ: AXGN). Daniel has been advising large multinational companies in medical safety and risk management for on market class II and class III medical devices. Daniel holds a MD from the University of Basel, Switzerland, a PhD degree in Cellular & Integrative Physiology from the University of Minnesota, and completed executive business management programs at the U of MN’s Carlson School of Management as well as at Harvard Business School. Pete is co-founder of FocusStart, as well as other startup ventures (Devicix LLC, and Alea Surgical, Inc). Most recently, Pete served as CEO of Devicix, a medical device product development firm located in Minneapolis. At Devicix he oversaw the company's growth from inception to its recent sale to a public company. Pete also founded, and continues to be President of, Alea Surgical, Inc.; an orthopedic company focused on developing orthopedic products for emerging markets. Before starting Devicix in 2004, Pete spent seven years (1997 to 2004) at Acist Medical Systems as Director of Product Development. Prior to 1997, Pete held a number of software engineering and project management positions in various industries. Today, Peter serves on the Industry Advisory Board for the University of Minnesota’s Institute for Engineering in Medicine, and is Chairman of Excelen Center for Bone and Joint Research and Education in Minneapolis. Peter received his Bachelor of Science degree in Electronics Engineering and holds an MBA from the University of St. Thomas. James is responsible for the day-to-day activities of FocusStart LLC. James brings more than five years of experience as a successful medical device entrepreneur and project manager. His previous company, Kent Medical Devices, Inc., developed a line of soft tissue markers for the women’s health market. James oversaw all aspects of the process, from ideation and patent filings, fundraising, engineering, manufacturing, and exit. Following a development plan and exit strategy similar to the FocusStart model, James successfully orchestrated a sale to a larger acquirer in the radiological health space, achieving an 11x return for his investors. James received his BS in Economics, with a minor in Biochemistry from the University of Wisconsin. 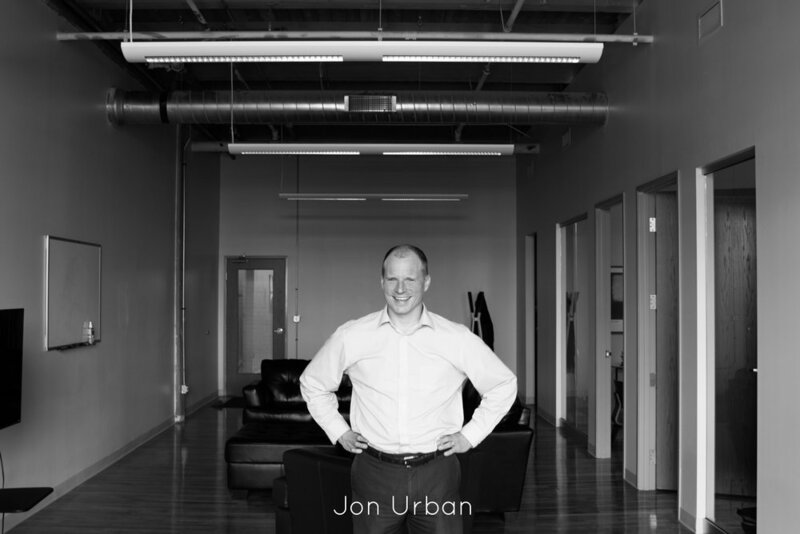 Jon Urban is a biomedical engineer who brings technical and operational skill sets to his role as a project leader. Throughout his career he has worked to answer scientific questions to establish the safety and efficacy of new medical devices for cardiac ablation, pacing, defibrillation, gene therapy, surgery, neural stimulation, and drug delivery, previously at Medtronic and Angeion. Scientifically, he has 10 journal publications, 6 conference presentations, 1 book chapter, 1 submitted and 3 pending patents, and 60 technical presentations at Medtronic’s Science and Technology Conference. He is a certified Green Belt in Lean-Sigma, with an extensive record of operational improvements. He has a BA in Physics from Hamline University and an MS and PhD in Biomedical Engineering, with a minor in Mechanics, from the University of Minnesota. (C) 2019, FOCUSSTART LLC. ALL RIGHTS RESERVED.